Miley Cyrus and Drake collaborating on new music? Fans seem quite positive. Miley Cyrus took to Instagram to share another sizzling photo of herself with her 88.8 million followers. Moreover, she gave justice to a Dior two-piece with some flashy bling to go with it. With the post, the 26-year-old star is sending fans into a speculation frenzy. Anyone who scrolls through her social media page shall notice her followers going into a speculation spree over the possibility that she and Drake are collaborating on new music. The Wrecking Ball singer captioned the alluring photo tagging the acclaimed rapper Drake. The photo sees her casually pouring water on herself while she's in a pool. Her fans are obviously hanging in on the fact that she and the God's Plan rapper are working together on new music, with her recent posts suggesting that she's on a road to an exploration of a different style and possible new sound. Her latest fashionable, stylish attitude and the overall vibe is thought to be inspired by her fourth studio album, Bangerz. Due to her recent posts and the caption that accompanied it, many of her fans expressed their concerns in the comment section. "im dying right now imagine drake x mc,"
Over the last couple of days, the star has posted a series of flamboyant photos, each containing some cheeky caption. "Came thru drippin' (drip drip)." Inspired by Cardi B's iconic lyrics from the song, "Drip," the caption, however, didn't result in fans conclusion that they were working together because Miley didn't tag the female rapper. "The face I make when y'all rushin me to drop music." 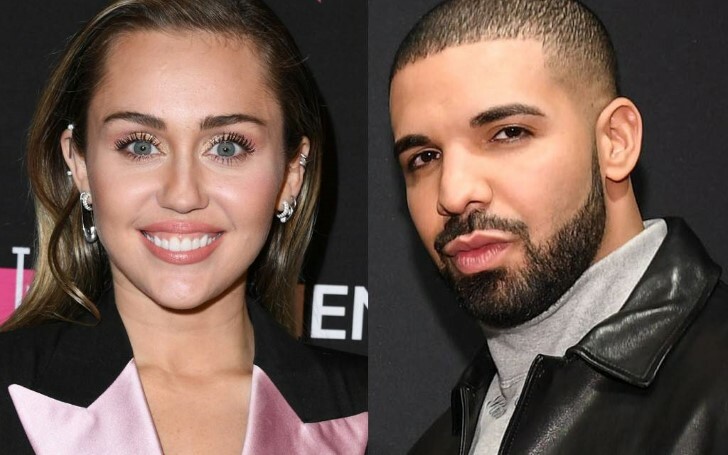 Although Miley and Drake's collab has not made its way to the fans before, fans of the Started From The Bottom rapper will recall that he impersonated the Party in the USA singer back in 2015.